“This is in line with the recently passed Discrimination Against Persons with Disabilities (Prohibition) Act 2019 by President Muhammadu Buhari which provides that in anywhere or event that there is a queue, PWDs should be given priority. 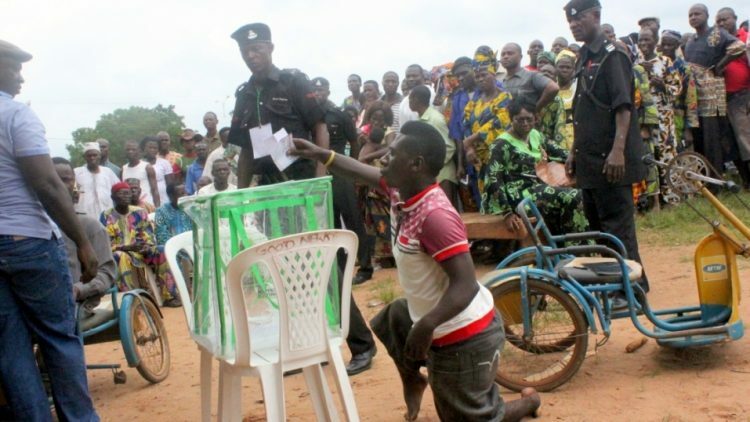 “The deaf community complained bitterly of accommodation at the polling units as they were denied priority voting, including a deaf woman with pregnancy was not allowed to enjoy priority voting,” they said. Earlier, the CCD executive director, Mr David Anyaele, said the centre was pleased that the general elections showed that persons with disabilities participated in mass in the electoral process as evidenced in the turnout of PWDs across the country. Participants in the workshop were drawn from Joint National Associations of Persons with Disabilities (JONAPWD) Enugu state chapter and other organisations of the PWDs including the blind, deaf, physically challenged, spinal cord injured association members and leprosy survivals.